A proposed dark matter detector using superfluid helium might detect particles with much lower mass than most current detectors. The new strategy, which is designed to detect interactions between dark matter particles and a tub of superfluid helium, would be sensitive to particles in a much lower mass range than is possible with any of the large-scale experiments run so far, the researchers say. The research was funded in part by the National Science Foundation (DMR-1505044). Dark matter is even more mysterious. It has never been observed, but scientists have known for a long time that it’s out there because its gravitational effects can be seen — galaxies move faster than expected, for example. 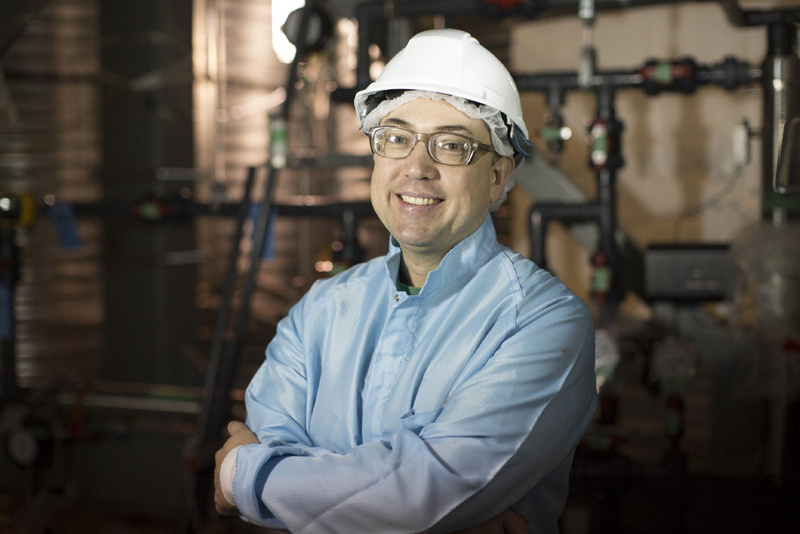 Boulay has been leading the DEAP-3600 experiment in SNOLAB, an underground laboratory in a mine two kilometres under the surface of the earth near Sudbury. One hypothesis suggests that dark matter consists of Weakly Interacting Massive Particles, known as WIMPs. The rock overburden at SNOLAB filters out cosmic rays that would interfere with WIMP detection. The DEAP-3600 experiments searches for dark matter particle interactions using a detector containing 3,600 kilograms of liquid argon. The surface laboratory cleanroom. Matt Kapust. After years of planning, building and installing systems, Sanford Lab’s cleanroom is, well, really clean, paving the way for the LUX-ZEPLIN collaboration to begin assembling the second-generation dark matter experiment. At the same time the cleanroom was under construction, Sanford Lab was building a new radon-reduction facility. 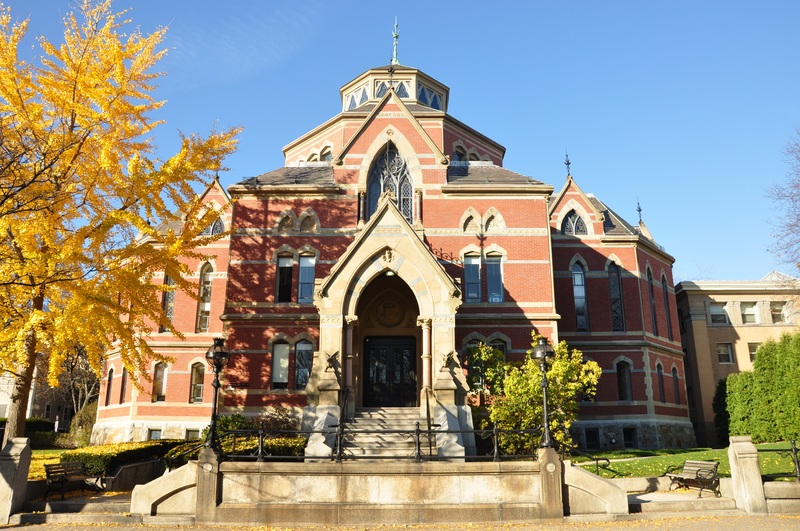 That building was completed and equipped earlier this summer. Radon, a naturally occurring radioactive gas, significantly increases background noise in sensitive physics projects. The radon reduction system pressurizes, dehumidifies and cools air to minus 60 degrees Celsius before sending it through two columns, each filled with 1600 kg of activated charcoal, which remove the radon. The pressure is released, warmed and humidified before flowing into the cleanroom. Creating a clean space for scientists requires more than dust rags and vacuum cleaners. Robyn Varland, custodian for the Davis Campus, and Melissa Barker, a contract custodian from The CleanerZ, worked diligently to remove the visible—and unseen—particles that lingered on the surfaces of the room. The other systems that maintain a clean environment are also in place and functioning; the radon-reduction, water purification and air filtration systems. 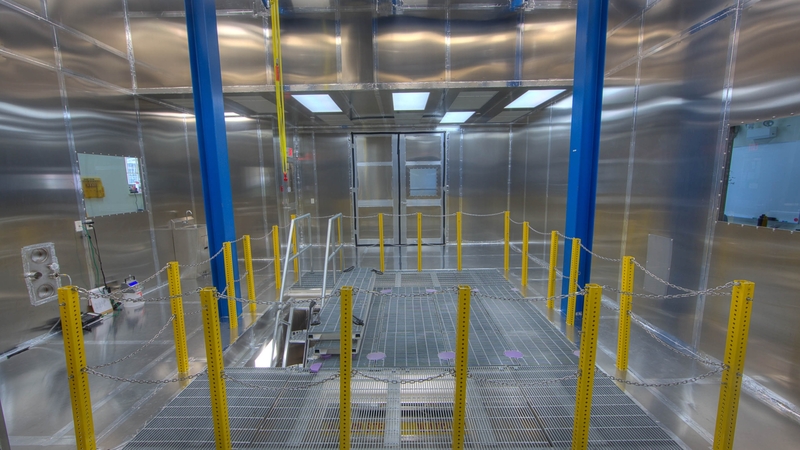 Varland uses the same system that is in place for the Majorana Demonstrator cleanroom. And it’s all done moving only half-an-arm-length at a time—all while suited up in cleanroom garb to prevent any contamination. THIS POST IS DEDICATED TO CONSTANCE WALTER, Communications Director, fantastic writer, AND MATT KAPUST Creative Services Developer, master photogropher, FOR THEIR TIRELESS EFFORTS IN KEEPING US INFORMED ABOUT PROGRESS FOR SCIENCE IN SOUTH DAKOTA, USA. This is the full article here . 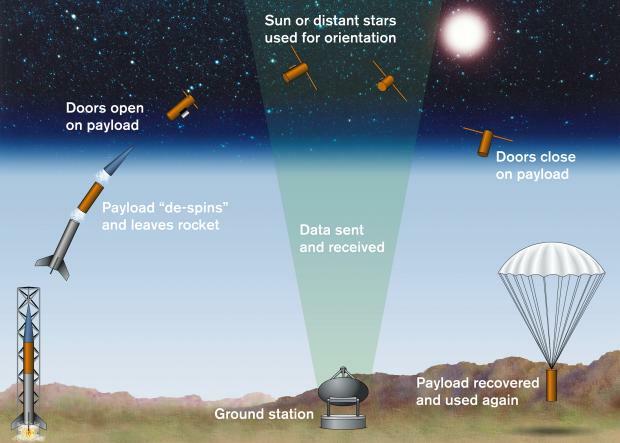 NASA, JPL-Caltech, Susan Stolovy (SSC/Caltech) et al. A NASA rocket experiment could use the Doppler effect to look for signs of dark matter in mysterious X-ray emissions from space. Researchers who hoped to look for signs of dark matter particles in data from the Japanese ASTRO-H/Hitomi satellite suffered a setback last year when the satellite malfunctioned and died just a month after launch. Now the idea may get a second chance. In a new paper, published in Physical Review D, scientists from the Kavli Institute for Particle Astrophysics and Cosmology (KIPAC), a joint institute of Stanford University and the Department of Energy’s SLAC National Accelerator Laboratory, suggest that their novel search method could work just as well with the future NASA-funded Micro-X rocket experiment—an X-ray space telescope attached to a research rocket. The search method looks for a difference in the Doppler shifts produced by movements of dark matter and regular matter, says Devon Powell, a graduate student at KIPAC and lead author on the paper with co-authors Ranjan Laha, Kenny Ng and Tom Abel. The Doppler effect is a shift in the frequency of sound or light as its source moves toward or away from an observer. The rising and falling pitch of a passing train whistle is a familiar example, and the radar guns that cops use to catch speeders also work on this principle. The dark matter search technique, called Dark Matter Velocity Spectroscopy, is like setting up a speed trap to “catch” dark matter. Researchers would look for subtle frequency shifts in measurements of a mysterious X-ray emission. This 3500-electronvolt (3.5 keV) emission line, observed in data from the European XMM-Newton spacecraft and NASA’s Chandra X-ray Observatory, is hard to explain with known astrophysical processes. Some say it could be a sign of hypothetical dark matter particles called sterile neutrinos decaying in space. The idea for this approach is not new: Laha and others described the method in a research paper last year[Physical Review Letters], in which they suggested using X-ray data from Hitomi to do the Doppler shift comparison. 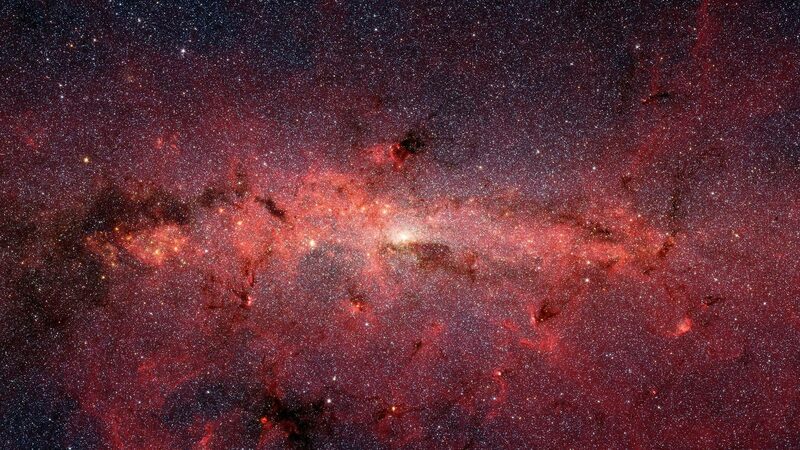 Although the spacecraft sent some data home before it disintegrated, it did not see any sign of the 3.5-keV signal, casting doubt on the interpretation that it might be produced by the decay of dark matter particles. The Dark Matter Velocity Spectroscopy method was never applied, and the issue was never settled. In the future Micro-X experiment, a rocket will catapult a small telescope above Earth’s atmosphere for about five minutes to collect X-ray signals from a specific direction in the sky. The experiment will then parachute back to the ground to be recovered. The researchers hope that Micro-X will do several flights to set up a speed trap for dark matter. Esra Bulbul from the MIT Kavli Institute for Astrophysics and Space Research, who wasn’t involved in the study, says, “In the absence of Hitomi observations, the technique outlined for Micro-X provides a promising alternative for testing the dark matter origin of the 3.5-keV line.” But Bulbul, who was the lead author of the paper that first reported the mystery X-ray signal in superimposed data of 73 galaxy clusters, also points out that the Micro-X analysis would be limited to our own galaxy. The authors say their method is not restricted to the 3.5-keV line and can be applied to any sharp signal potentially associated with dark matter. They hope that Micro-X will do the first practice test. Their wish might soon come true.